For graduate students, financial assistance is available through the department. For 2018-2019, sixteen graduate students hold teaching assistantships or fellowships. Graduate teaching assistantships are awarded by the Department. TAships and fellowships include a stipend for living expenses, plus a full tuition waiver up to 12 credit hours per semester, as well as approximately an 80% reduction in the cost of health insurance premiums for basic health insurance for you. You may purchase health insurance for family members from the same plan. Additional departmental support is available to students who serve as graders. The University awards a number of fellowships each year to its best graduate school applicants. Teaching assistantships and fellowships are awarded on a competitive basis. For entering students, decisions are made on the basis of the application form, transcripts, letters of recommendation, GRE scores, TOEFL scores (if applicable), a statement of purpose, and a sample of written work in philosophy. Students entering the program without financial support are considered for support in subsequent years. For such students, decisions are made on the basis of performance in their graduate studies. Admission decisions are made on a rolling basis, but for full consideration for funding, your application should be complete by January 15. All applicants will be considered for assistantships and fellowships; no additional application is required. Applicants should be aware that the requesting, sending, and evaluation of official transcripts is a slow process that may require two months to complete. It also takes time for letters of recommendation to be completed and sent. Applying to take the GRE requires advanced planning. Please be sure to begin the application process early. Once awarded, a teaching assistantship will be renewed each year for three more years, provided the student makes normal progress toward the degree. A fifth year of financial support is usually available to a student who is actively writing his/her dissertation. 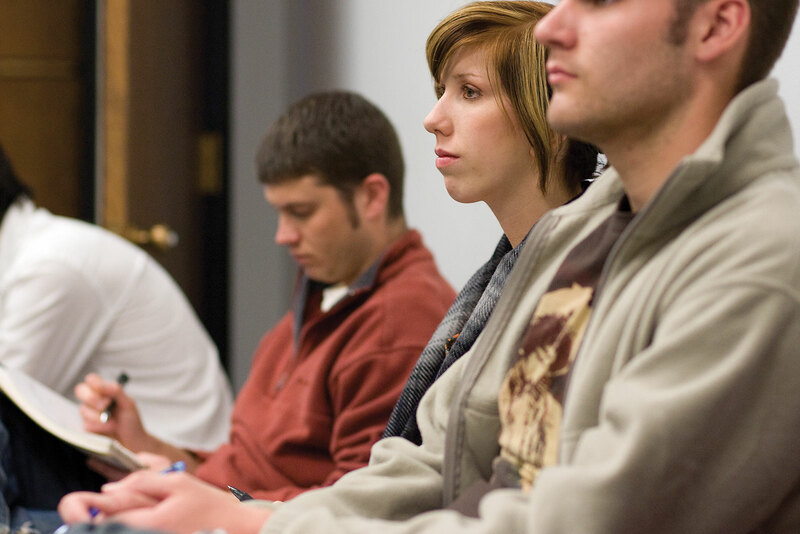 Teaching assistants typically teach four discussion sections for large introductory lecture courses, and are responsible for much of the grading in those courses. Advanced teaching assistants teach their own courses in the evening program and during the summer.